Since 2010, we've served Northern NJ customers and have a perfect rating, providing the highest quality gutter cleaning in the region. Just a handful of debris can make a major problem. Protect your foundation from damage. Contact us Today! Protect your biggest investment with high quality seamless gutter installation. We make your custom gutters at location. Let 3 Sons Gutters install your brand new gutters. We use the high tech seamless gutter materials and machines on the spot. Even the smallest damage to your gutters can cause water build up. Let our experienced team make sure your gutters are doing their job! A house with a 1,500 sq/ft roof gives off 1,000 gallons of water for every inch of rainfall. We offer 24/7 service! Get a peace of mind! 3 Sons Gutters offers 3 maintenance packages that gives you the seasonal protection. Our yearly maintenance packages guarantee that your home is protected at all times. Sign up today! 3 Sons Gutters is a family owned and operated business in Hillsdale, NJ. We specialize in gutter cleaning, gutter repair, gutter installation, and other water diversion services. 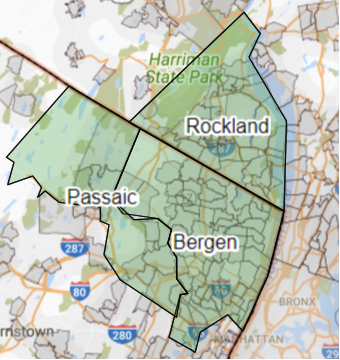 We service Bergen, Passaic, and Rockland counties. All of our work is 100% guaranteed. We will not leave a job unless you are fully satisfied with our work. We use the highest quality materials in the industry. Our workers are careful and clean. Our workers are highly skilled and trained for all types of gutter jobs from cleaning to installation. We use the most efficient and effective ways to divert water away from your foundation. Stay current with the latest weather news here. Coming soon.